It’s no surprise that we’re big fans of oven baked clay around here (latest exhibit: these awesome clay jewelry bowls). 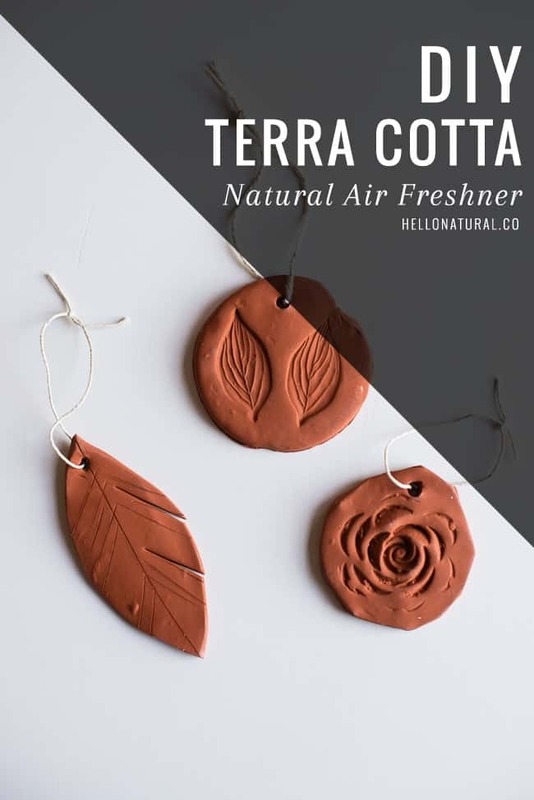 But after learning that there are types of clay, like terra cotta, that can absorb essential oils, we had to play around with making a few natural air fresheners. Use a cookie cutter to cut out the desired shape. Or use a circular lid or other shape and cut around it with a knife. 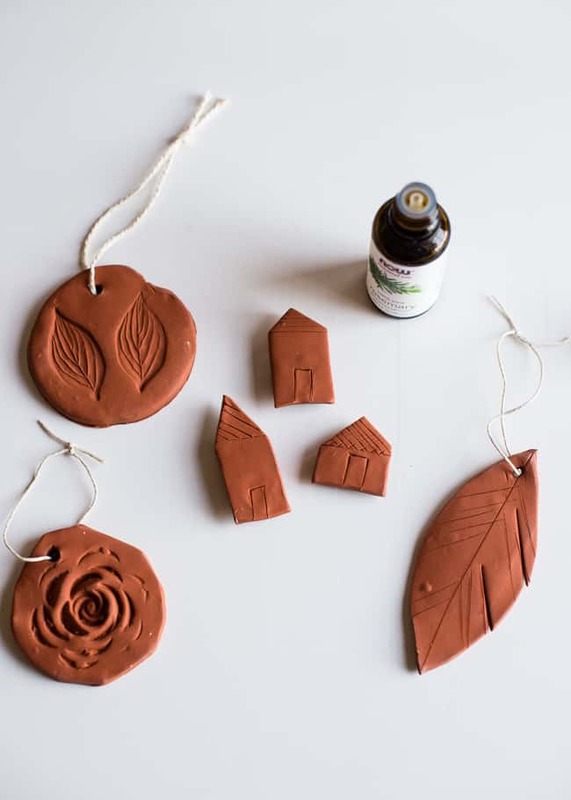 You need grooves or indentations in the clay in order for the essential oil to absorb. 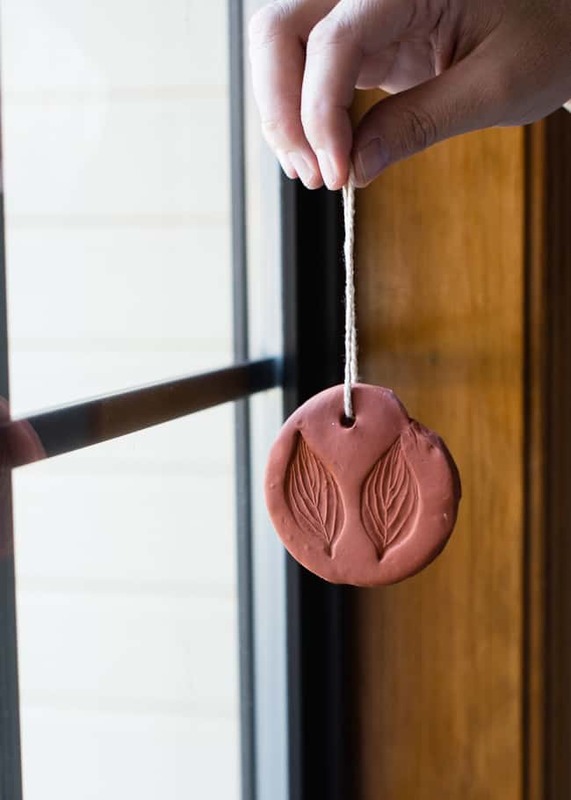 So use stamps to press designs into the clay or simply cut slits in the clay with a knife. Use a straw or tooth pick to make a hole at the top that’s big enough for your string if you plan to hang the air freshener. Bake the clay according to package directions. Remove from oven and let cool completely. 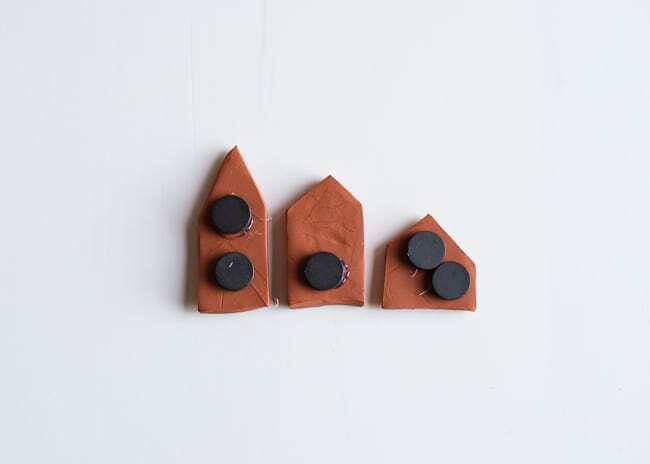 Tie on a piece of string or attach magnets with a hot glue gun. Add 3-5 drops of essential oil and rub into the clay. The oil absorbs into the clay and so add more essential oil for a stronger scent or if the scent starts to dissipate. I don’t have anywhere to hang an air freshener in the kitchen so I thought a magnet would be fun. Plus the power of aromatherapy might stop fridge attacks too – peppermint and dill essential oils are said to help curb sugar cravings! And since the holidays are coming up, wouldn’t these make fun gift tags too? 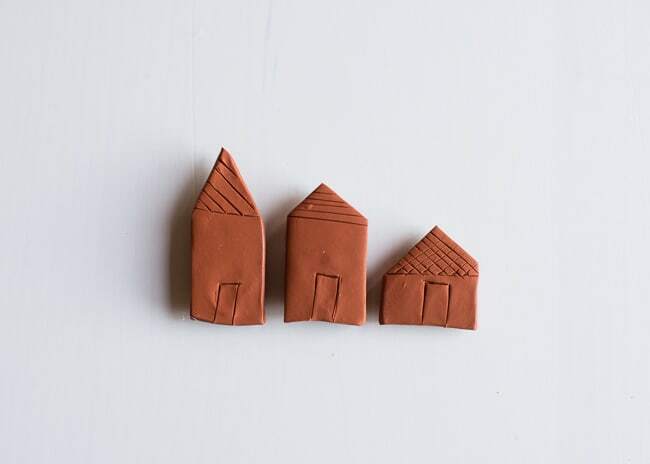 Hi, can you use air drying clay instead of oven drying clay to make these? Will it absorb essential oils also? Love these, great idea for a gift as well! can you spray DIY room/linen sprays on this to make the scent lasts longer? These would be great in a kid’s locker, in front of the heat/ a/c vents in the car, and hanging off the wireworks of a lampshade. Cute idea. What a great idea, I like another way to stop buying expensive fabric softeners.